The challenge coin has a inner circle. Towards the top of this inner circle is small 82nd Airborne insignia which has been colored. This consists of a red square with a purple circle inside. Inside the circle are the letters "AA" colored white. The inner legs of the "A"'s are vertical and the outside legs are curved. Above the square is a arc banner which says "AIRBORNE". The background inside the banner is colored purple. The "AA" refers to the nickname "All American Division" which was adopted by the organization in France during World War I. To the left of the insignia is a parachute with feathered wings on it and a five-pointed star inside a feathered wreath on top of it. This is the Master Parachutist's badge. To the right of the insignia is a glider with feathered wings. This is the U.S. Army Glider badge. The middle and bottom of the inner circle have a large red flag with two white stars on it. This is the two star general's flag. To the left of the flag are three small parachutists in the air. To the right of the flag are two small parachutists in the air. The legend along the upper edge of the medal says "82D AIRBORNE DIVISION". Along the lower edge of the medal it says "COMMANDING GENERAL". The divider on either side between the top and bottom legends is two five-point stars. The coin has a smooth plain raised edge, and a plain and smooth background. The reverse has an elaborate central pictoral design in an inner circle. Two airplanes are flying across a night sky with three stars. Three parachutists are dropping from the planes. On the ground is the upper half of parachutist who is in a foxhole. To the left of the parachutistis a small colored 82nd Airborne Division insignia (as described on the obverse). To the right is a small colored circle. Inside the circle is a white plane crossing in front of a white parachute. The small circle has a red rim and a purple background. Overall the background of the picture is divided by nine horizontal lines. 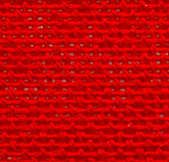 The background texture alternates between the lines; the top region is textured, the next region is smooth and so forth. The legend along the upper edge of the medal says "82D AIRBORNE DIVISION". Along the lower edge of the medal is an elaborate curved banner. The banner reads "SICILY", "SALERNO, NORMANDY, HOLLAND" and "PANAMA". The coin has a smooth plain raised edge, and a plain and smooth background except where otherwise noted. Metal Bronze finish, metal unknown, with color added. Weight Unknown. Size and Shape Round, 50 mm in diameter. Dates Issued Unknown, after Operation Just Cause (1989-1990). Varieties There are several different challenge coins for the 82nd Airborne. This is the only 50mm size coin, and the only Commanding General coin which mentions Panama. There is another variety with the same obverse design but a different reverse which does not mention Panama. Population Count As of November 27, 2002 these are being offered regularly by ebay seller 'microcast' for an opening bid of $.01 plus $1.50 shipping, and others as well. They are readily available on ebay.